What began as the private collection of John Pierpont Morgan has now grown into a museum and research library located in the center of Manhattan. From 1890, Morgan started collecting illuminated, literary and historical manuscripts, early printed books and old master drawings and prints. While the collection is still primarily focused on works on paper, it has since expanded to include among other holdings, contemporary drawings and prints, and photography. 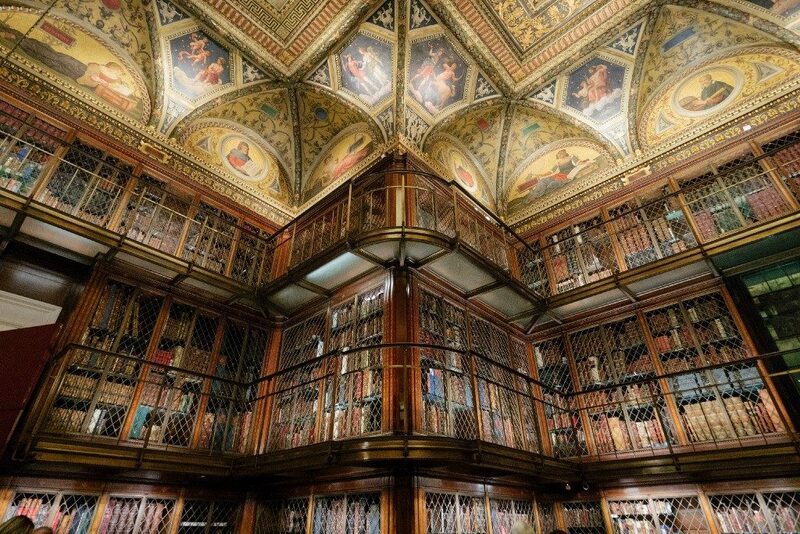 The Morgan Library & Museum makes it its mission to preserve, build, study, present and interpret a collection of extraordinary quality in order to stimulate enjoyment, excite the imagination, advance learning and nurture creativity. The Morgan Library & Museum is not just a historic landmark but home to some of the world’s greatest collections of manuscripts, rare books, music, and drawings. To find out more about how digital has played a role in this longstanding institution, I interviewed Dan Friedman, the Morgan Library & Museum’s Senior Manager of Digital Media. Dan Friedman has been at the Morgan Library & Museum for over 20 years. When he first took on a digital role his title was Webmaster. The title and role have shifted over the years to reflect the changing digital needs of the museum, first to Web Designer and now Senior Manager of Digital Media. This role sits within the small but mighty Management Information Services department which include himself, the two-part time staff who report to him as well as the Networking Administrator and the Systems Administrator. The Management Information Services department reports directly to the Director of Finance and Administration, which is part of the senior management team at the Morgan. For Dan, an average day will consist of a variety of things that could involve working with putting content on the website, some coding or working with images. He works with a lot of staff from marketing management to librarians and curators. A large portion of his time is spent troubleshooting issues that come up as well as getting projects ready for the part-time staff and meetings with other staff. In 1999, the first website was created for the Morgan as a desire to sell shop products online. Dan Friedman created this first iteration and has been changing and updating it ever since. “Back then it was very simple, the idea was just that you have got to have a website because everyone else had a website,” Dan stated in regards to the beginning of museums incorporating technology. In 2009 the Morgan Library & Museum created a strategic plan for the entire institution. Along with many other staff Dan worked on this document, focusing on the digital component. The main goal of the digital component was to create a multi-platformed and coordinated effort to reach the Morgan’s audience. The idea was and continues to be to disseminate as much of the Morgan as possible in the digital sphere. The components of that initially focused on the website but have remained the guiding principle as technology and the means of reaching people have shifted. When the Morgan Library & Museum closed in 2003 for an expansion project the website expanded significantly because it was one of the few public outlets. It was also in that time and directly after that other digital components were added including e-marketing and social media. The objective was to throw out a wide digital net and accounts were created on platforms that might not even exist anymore. What has stuck around has been Facebook, Twitter, Pinterest, and Instagram. With the exception of Pinterest and YouTube and Google Ads, the management of social media and e-marketing has shifted out of Dan’s department to Communications & Marketing as more employees have come on who have been comfortable with technology. As someone who has been at the institution for so long and experienced the digital shift, Dan has a unique perspective. This shift from controlling the technology to the technology controlling us has played a key role in how the digital media department has approached its projects and focus. One example is when Dan first started the website everyone had a CRT monitor with a 1024 x 768 screen resolution so you knew what the webpage was going to look like. Over time that changed to hundreds of different screen resolutions where now the website has to adapt to accommodate which meant incorporating responsive design. Working at a smaller institution makes it even more of a challenge to play catch up to technology developments because of the limited resources. Being resourceful and adaptable is key being successful. The success of digital initiatives is measured by engagement. This is often done with analytics and research. The digital media team pays close attention to and uses a variety of different tools to measure visitation and engagement across all the platforms whether it is the website or social media. There have also been extensive user experience research projects including onsite and offsite visitor surveys undertaken to constantly update and improve the digital initiatives based on what users want. Through all these endeavors it is important to the Morgan not to lose sight of target audiences. Like every museum, there is always the goal to get more young people engaged. However, from Dan’s personal viewpoint, he especially does not want to lose sight of the core audience which is primarily local and generally older. Keeping the wants and needs in mind of all the types of audience members is a key component of every project the Morgan takes on, especially when it comes to digital. The main challenge the Morgan Library & Museum currently faces in the digital sphere is keeping all the data and digital assets in order. Managing digital assets is a huge internal challenge that is shared across many museum institutions. The Morgan has improved its data management significantly over the past few years, including incorporating a Digital Asset Management system and continues to try to employ technology as much as possible to manage the data. 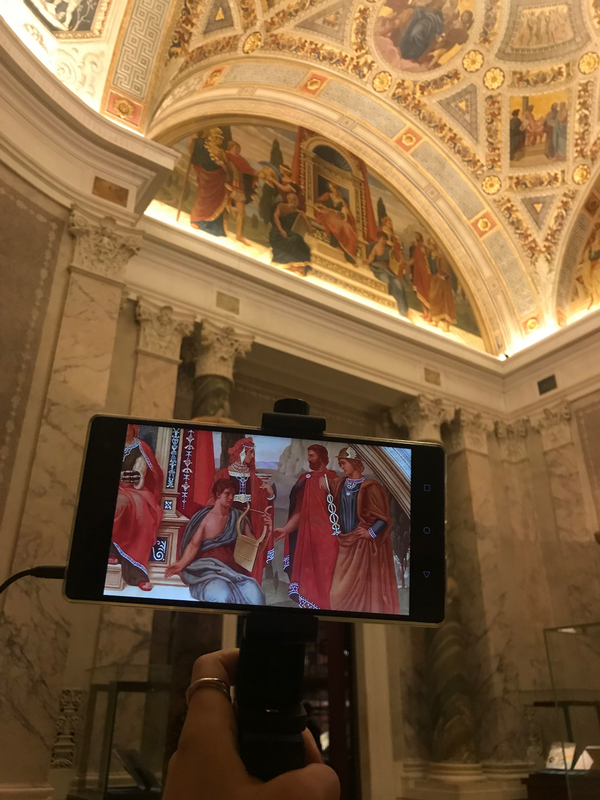 Some of the most recent opportunities at the Morgan have been in the area of augmented reality with the creation of an AR tour of the historic rooms. Dan also believes that on top of augmented reality, scanning to capture and preserve objects in 3-D might be the next big thing. He would love the Morgan to pursue that avenue for its smaller collection of 3-D objects. However, bigger opportunities for future technology endeavors is not as easy to define for Dan Friedman. different ways that technology can reach more people beyond the walls of the organization are constantly changing. Dan maintains that thinking out of the box and being ready to adapt to the changes are the best way for the museum to keep up. For Dan, the best part of his career in museum digital media is the creativity and problem-solving. He said, “If there is a bit of code or something you’ve been trying to make work all day and when it does work you feel elated.” As someone who has been at the institution for 22 years he also greatly enjoys the people he works with and the Morgan’s collection. With an art background in traditional painting and printmaking, getting to work at an institution relating to what he studied is his favorite part of his job at the Morgan Library & Museum. Interview with Senior Manager of Digital Media, Morgan Library & Museum was originally published in Museums and Digital Culture – Pratt Institute on Medium, where people are continuing the conversation by highlighting and responding to this story.